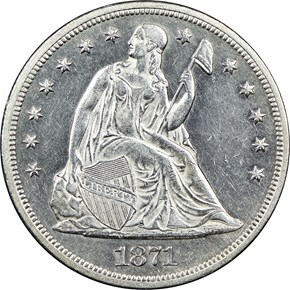 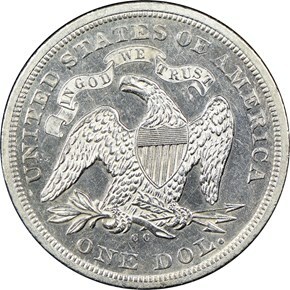 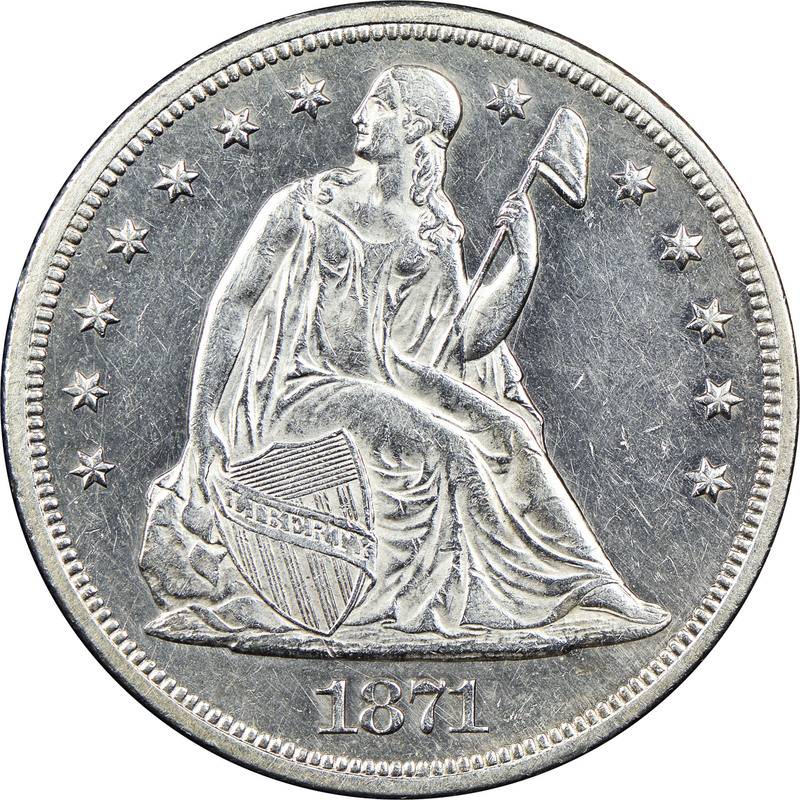 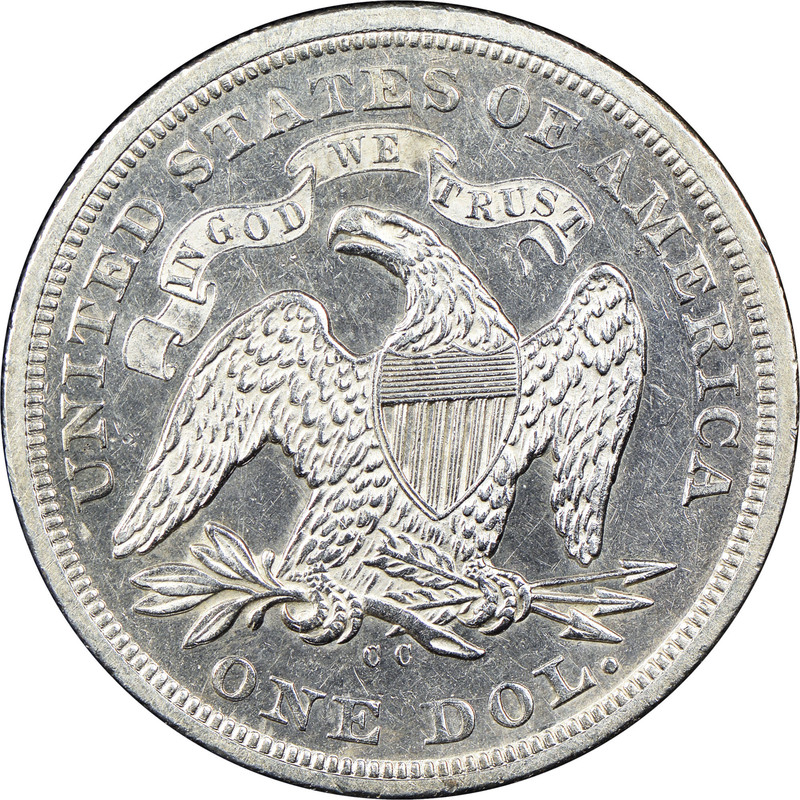 The 1871 Carson City Trade dollar is a well-known rarity. 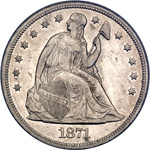 Only 1,376 pieces were struck to begin with, and many of those went immediately into circulation where they were lost or well worn. 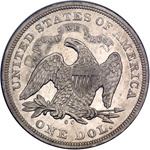 Uncirculated examples are quite rare, and NGC has only graded four Uncirculated examples, with the top grade being a lone MS64.